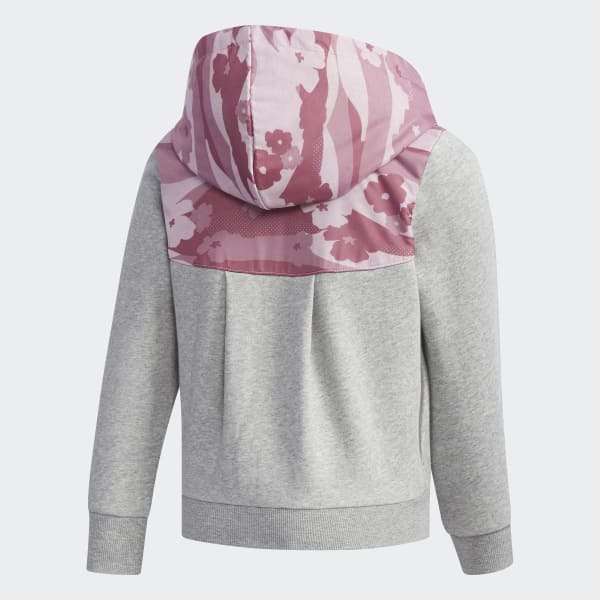 A stylish hoodie for girls on the move. 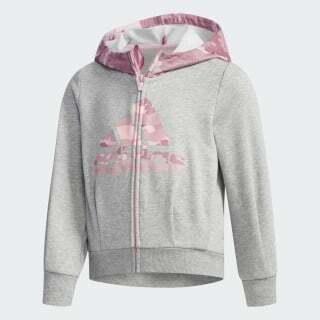 A full-zip hoodie to keep her comfortable all day long. The girls' jacket has front and back pleats for roomy comfort and ribbed hems for a stay-put fit. Front pockets provide a place for toys, snacks and tired hands.